The company is currently exporting its global car, which made its international debut in India in March last year, to 27 countries. “Exports has been a real joy for us. In September, we exported 2,469 cars. We are quite happy that the number is growing," Ford India executive director (Marketing, Sales and Service) Nigel E Wark told the news agency. Asked if the rising export numbers of Figo have encouraged the company to explore new markets, he replied in affirmative. “In fact, we are looking at exporting the car to about 50 countries either by the end of this year or early next year," he said but did not name the possible countries. While South Africa is the first market where Ford India exported the Figo last year, recently it added Jamaica to the overseas market list extending it to 27 countries. “South Africa is our biggest market but the Middle East also offers good opportunities," Wark said. On the back of Figo, Ford India’s exports have jumped over two-and-half folds during the January-September period this year to 16,747 units as against 4,573 units in the same period last year. 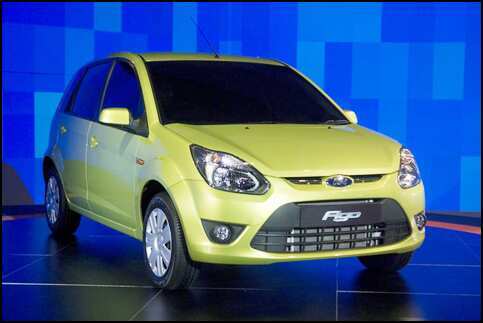 Besides the Figo, Ford India also exports its Fiesta classic to South Africa.